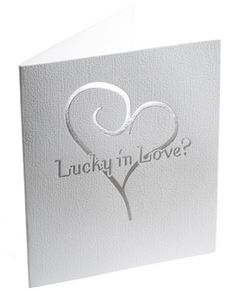 A pack of 10 lottery card envelopes to hold either a scratch card or lottery ticket with a contemporary heart. 10 Cards per pack. 90mm width with 105mm in height when folded.